The Archivist's Pencil: Tell Me, Where Do the Children Play? Tell Me, Where Do the Children Play? Archbishop McNeil was the kind of person who really took an interest in the welfare of the people of the city. 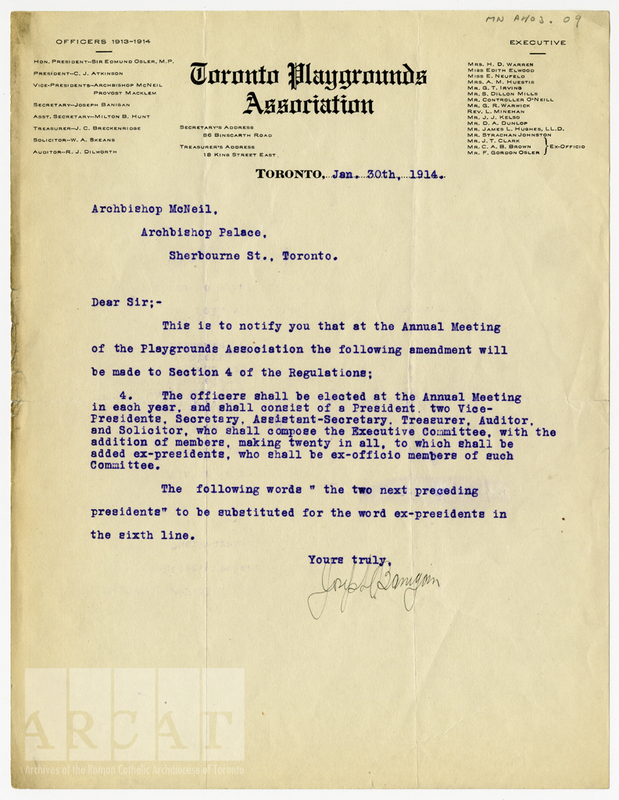 It is evident from the records that he wanted to improve the lives of the citizens in his care, so it came as no surprise to discover that he was on the board of the Toronto Playgrounds Association for several years starting in 1913. 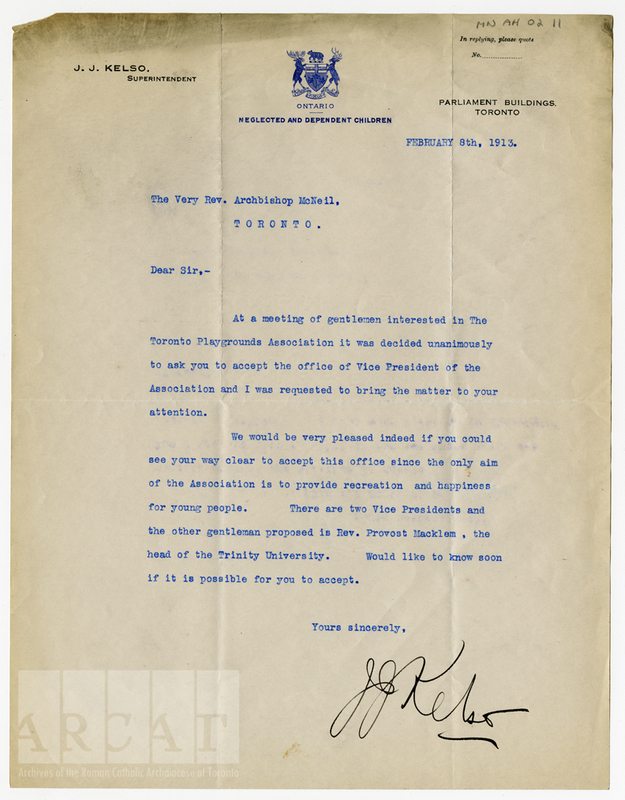 At a meeting of gentlemen interested in The Toronto Playgrounds Association it was decided unanimously to ask you to accept the office of Vice President of the Association and I was requested to bring the matter to your attention. We would be very pleased indeed if you could see your way clear to accept this office since the only aim of the Association is to provide recreation and happiness for young people. There are two Vice Presidents and the other gentleman proposed is Rev. Provost Macklem, the head of the Trinity University. Would like to know soon if it is possible for you to accept. At the turn of the century, Toronto's continued growth had given rise to neighbourhoods like St. John's Ward where it was too easy for children to get into mischief when they weren't in school. A movement grew to address this problem by constructing places for children to participate in organized activities. 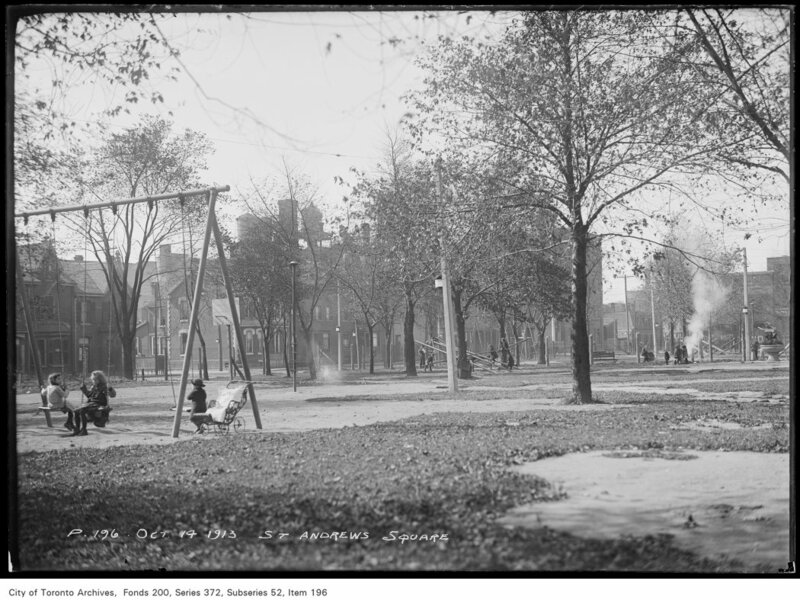 In 1911, The Toronto Daily Star printed "ten good reasons why Toronto citizens should support supervised playgrounds:"
"All children should have a safe place where they can play. You had when you were a child. Your children have now. Give children, who have no other safe place, where they can play, supervised playgrounds. "There are crowded districts in Toronto, which the Toronto Playgrounds Association has not been able to reach yet. The association needs more money, the city needs more playgrounds. "The children of these crowded districts are eagerly hoping for a supervised playground. Are they to have a playground this year? The best work you can do for the children of your city is to help support supervised playgrounds. "The supervised playground lessens truancy. "The value of a crowded district is greatly increased to the people who live in it by a supervised playground. "Supervised playgrounds for children mean better citizenship for everybody. "People who play together will find it easier to work together. "Every dollar subscribed to the work will bring happiness to some child in the city. "The child who is trained to play with all his might and honestly with his young companions is more valuable to himself and the community than the child who is kept away from play by the harmful attractions of amusements never meant for children" (The Toronto Daily Star, April 26, 1911, p. 12). 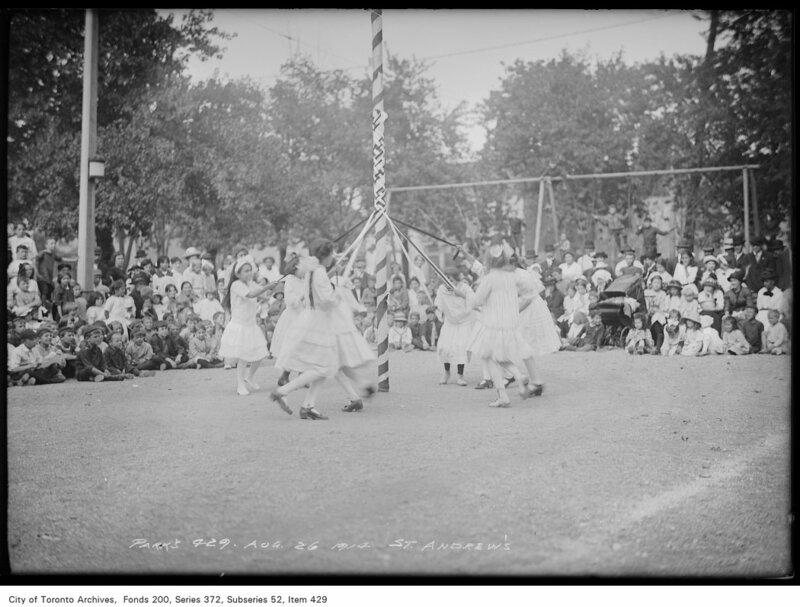 For more on the beginning of Toronto's playgrounds, check out the excellent website from last year's City of Toronto Archives exhibition From Streets to Playgrounds. Today, the City of Toronto's website lists 794 playgrounds. With this handy map, it's easy to find the one closest to you so you can get out there and play! Archives of the Roman Catholic Archdiocese of Toronto. Simple theme. Powered by Blogger.